There is so much you can do with this. Halloween is coming up and this can be a quick fix for a lack of costume. 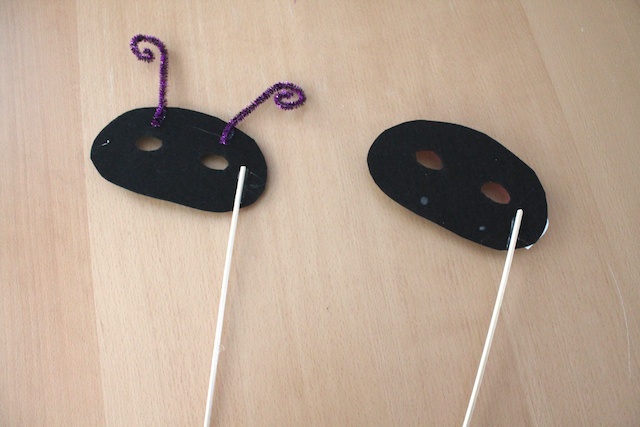 Or have a masquerade party. 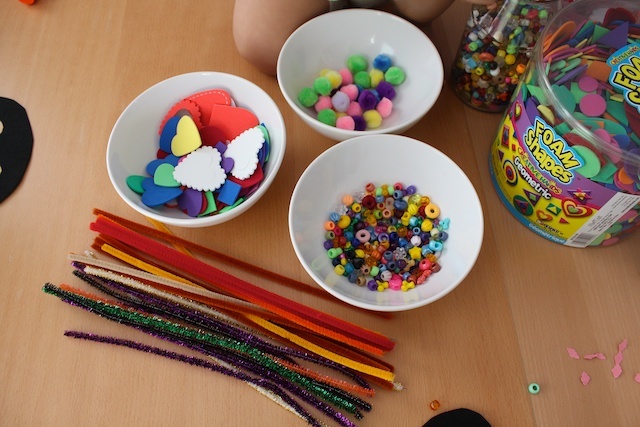 This can also be a theme and activity to a child’s birthday party. This is super simple to do and you probably have most of the supplies in your craft closet. My girls had a fun time making it. Let me rephrase. Kaye had a fun time making it. Elle was distracted by the beads and pom poms. She played with that the entire time. I finished her mask and she loves it. 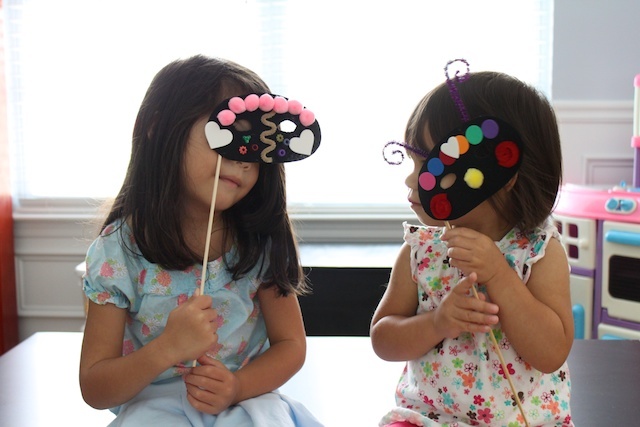 Both girls walk around the house strutting their masks. And if you made something inspired by Simply Modern Mom, please upload pictures of it to our Flickr group to show it off to everyone. You may be featured on Simply Modern Mom. 1. 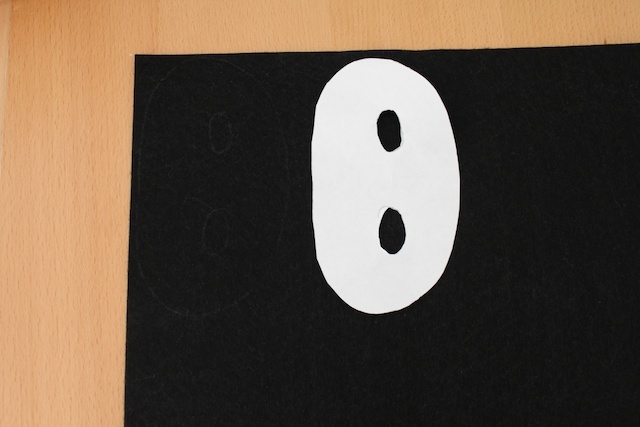 Download and print the children’s mask pattern. I couldn’t find children’s size masks in the stores so I made my own. 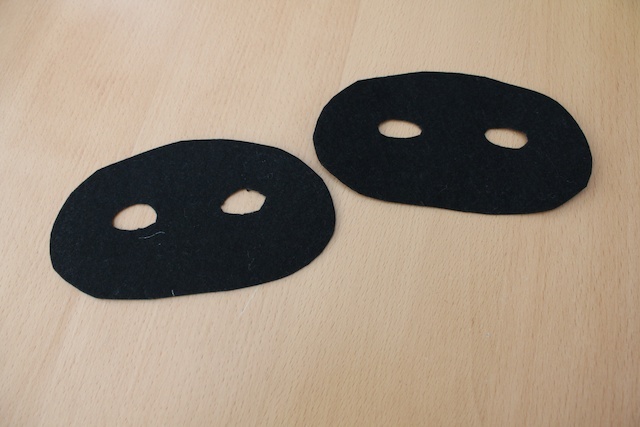 Then trace the mask pattern onto the stiff felt. 2. Cut out the felt mask. 3. 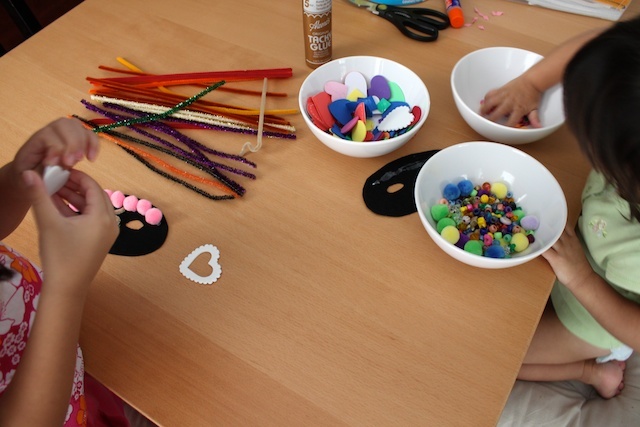 Set out a table of embellishments and decorations. 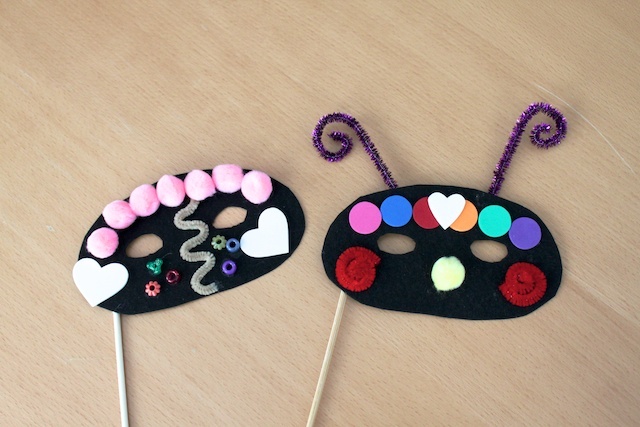 Let the kids go wild designing their own masks. 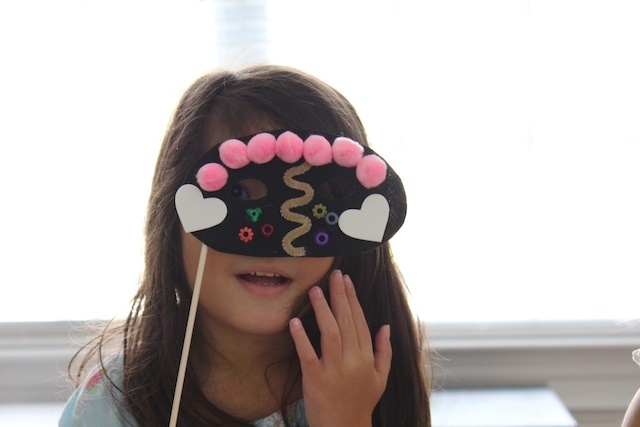 I had them use tacky glue to attach the embellishments on the felt mask. You may need some clothes pins to apply pressure while the glue dries. Allow the glue to completely dry, let it sit for a couple of hours. 4. 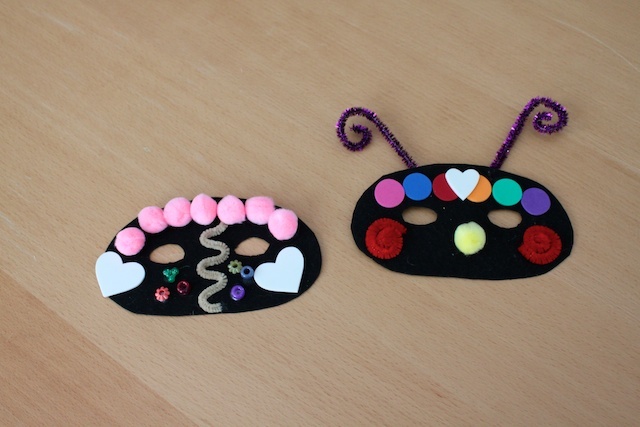 On the back of the masks, use the glue gun to attach the sticks. My children prefer the sticks since they don’t like to have the mask wrapped around their head. But if your child don’t mind, you can use a large needle and elastic to make it where they can wear it. » Tell me… Have you been to a masquerade party before? What was the occasion? How do you like to decorate your mask? We should try to meet in Chattanooga sometime with the kids… it’s kind of a drive, but we could make a day of it!